TexasRunningPost.com is owned, managed and operated by three local Austin runners: Michael Madison, Ashish Patel and Bob Wischnia. The three of us are friends and lifelong runners who decided to put this site together because we felt such a site would fill a void in the Central Texas running community. And quite frankly, we thought it would be fun to do this together. All three of us have day jobs—this isn’t our sole livelihood—and yet this is a professionally written, designed and operated running site dedicated to Texas running, multi-sport events and the participants. We are solely responsible for its content. In addition, we are absolutely independent and fund the site ourselves. Furthermore, we are not affiliated with any running store, race or other organization. To be completely transparent, the three of us are all members of the Team Mizuno running team. Michael Madison works for Gilbert’s Gazelles and the Gazelle Foundation. Wish is a marketing and media specialist for Mizuno USA. But neither the Gazelles nor Mizuno USA is connected to this site in any appreciable way. Finally, Ashish Patel works in the tech industry and continues to be the fastest of the three of us. Michael Madison is originally from Lubbock where he got off to a flying start running in the eighth grade and was immediately hooked. A multi-sport star in high school, Michael was a sprinter (100, 200, 400) who dabbled in the 800. As a senior, he made the Texas State Championships in the 400. Madison ran at the University of Missouri and earned All-Big 12 honors in 2005. During and following college, Madison served as Media Relations Coordinator for the Round Rock Express. After a one year pilgrimage to the motherland (Texas A&M) for a Masters in Sports Management, he now uses it to coach and help run Gilbert’s Gazelles in addition to managing the Gazelle Foundation and the annual Run for the Water benefit event. Michael has run nine marathons and countless half marathons. When not running or working, Madison enjoys beating Wish in golf. 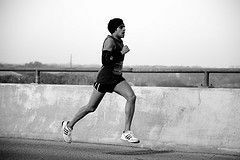 Ashish Patel began swimming at the age of four by taking swim lessons and running at the age of seven by participating in kid runs. He ran cross country and track and swam competitively throughout high school. He then competed in Triathlons while studying at Virginia Tech and the University of Florida. Immediately after completing graduate school in 2008, Ashish took a job and moved to Austin. He currently works at Headspring as an IT Consultant. Since moving to Austin, Ashish primarily trains for marathons and half-marathons, but he also enjoys competing in the occasional triathlon to exercise his passion for swimming and cycling. Bob Wischnia, better known simply as “Wish” (editor-writer, bon vivant) has spent most of his professional life in the running industry. 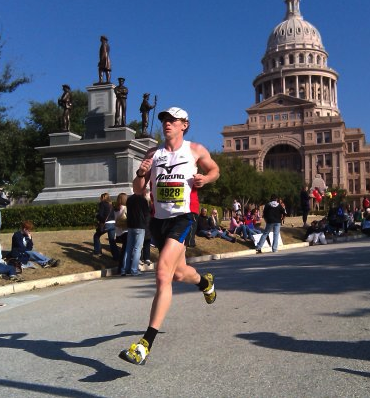 He was the deputy editor for Runner’s World Magazine for 25 years before moving to Austin in 2004. Since then, he has worked for RunTex, built running websites for various enterprises and now works for Mizuno USA. Another multi-sport athlete in high school (baseball, track, cross-country and basketball), Wish has been a runner virtually his entire life, starting in fourth grade when he began running back and forth to school. Wish graduated from Arizona State University and went to graduate school at the University of Southern California. He’s lived all over the country and during his long tenure at Runner’s World, covered four Olympic Games and numerous Olympic Trials and World Champs. Wish trains with Gilbert’s Gazelles and competes as a masters runner. In his spare time, he loves swimming, cycling and golf.